How does SolarQuotes make money? I have a flat roof - should I lay my panels flat? How Do I Read An Old Spinning Disc / Mechanical Meter? Do you sell/pass on phone numbers to telemarketing companies?? How do I estimate the energy output of a solar system throughout the year? How do you vet your installers? 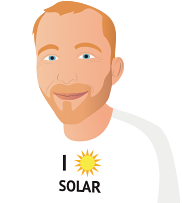 I think I'm ready to make a decision about solar for my home or business. How can I take the next step and get a quote for a system? I've been reading your database of solar panel installer reviews and noticed that quite a few are from "Anon". Who is this? They appear to be writing a significant fraction of the reviews. When a review in our review database is published by someone who doesn't want their real name used, "Anon" (short for "Anonymous") is the default name given. Note that we still verify the reviewers name and contact details before they can publish a review. Is my SMA inverter 3 phase or single phase?